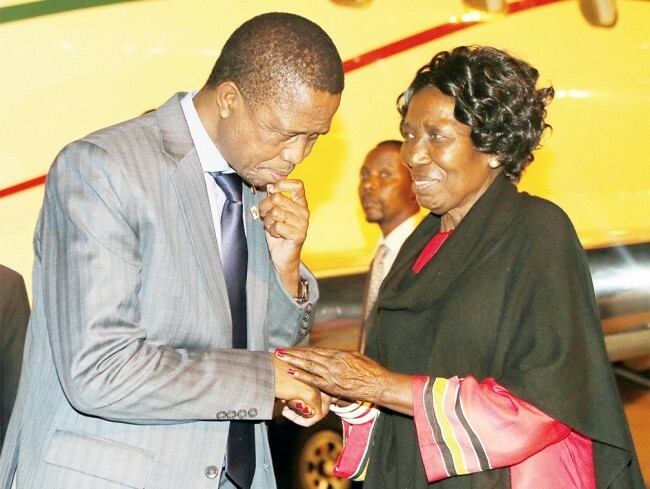 Patriotic Front (PF) leader Edgar Lungu has turned the heat on Vice President Inonge Wina accusing her of conniving with the opposition UPND over the impeachment motion, State House sources have hinted to the Watchdog. Lungu, has been angered over what he terms an embarrassing motion and has tasked his “hitman” and corruption advisor Kaizer Zulu to organise demonstrations demanding for the resignation Ms. Wina. “Ms. Wina is being accused of working with the UPND on the impeachment motion. ” It had to take the assurance of the Speaker that the motion wouldn’t been tabled otherwise he really had prepared for a fight with the Vice President,” said a State House source. The source revealed that Lungu was upset that the motion had embarrassed his presidency and that Wima has been enticed by the possibility of being first female president. If the motion to impeach Lungu succeeds, Wina will take over as president. “What was even more upsetting for the boss was that some PF and independent MPs had warmed up and are working with the opposition to get him out of the Presidency,” said the source. He has since tasked Kaiser Zulu to organise demonstrations against the Vice President Ms. Wina so that she can resign. The Zambian Watchdog has been informed that had the motion been tabled yesterday, it was going to succeed as a good number of PF MPs have decided that Lungu must go and be replaced by Wina. It would not be the first time Wina is voting with the opposition as a few months ago, she defied her party position and voted with the UPND over paying retirees. It is believed that most PF MPs are not happy with the tension Lungu has created in the country and believe that if Wina takes over, harmony will return to the country while power will remain in the PF.